Places are localities given meaning by human experiences in them. Sense of place refers to a set of meanings of and attachments to places that are held by individuals or by groups. The cultures and educational philosophies of American Indian and Alaska Native peoples reflect rich senses of the places that make up their traditional homelands. However, sense of place does not manifest itself in proportionate enrollments in undergraduate geoscience by American Indians and Alaska Natives. This is because mainstream geoscience teaching emphasizes global syntheses over exploration and in-depth understanding of places that have prior meaning for Indigenous students, and may even depict such places in culturally-inappropriate ways. 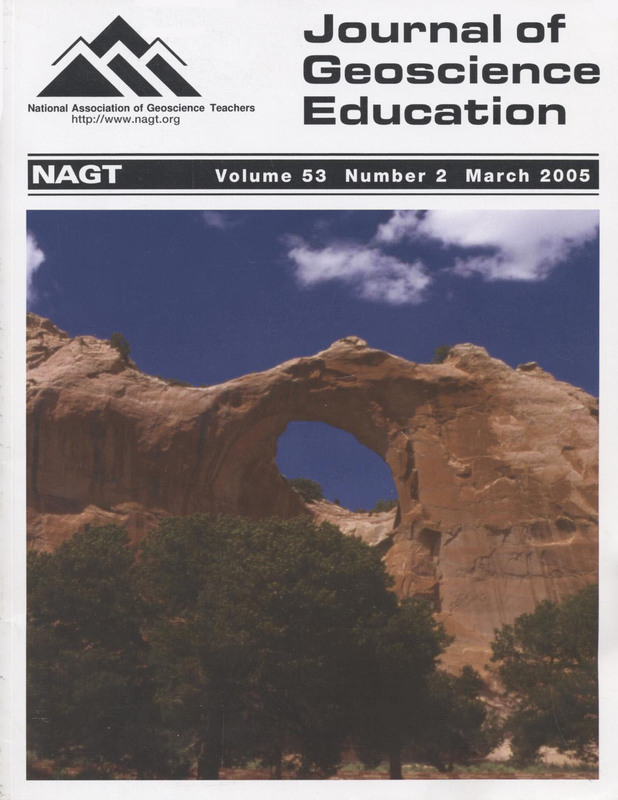 Many teachers and researchers with experience in Native educational systems recommend a greater emphasis on the study of local places, synthesis of local cultural knowledge, and community-directed activities in science education. Such a "place-based" approach is used by a small number of school systems, nearly all outside of Native communities. Place-based geoscience teaching could potentially enhance science literacy among American Indian, Alaska Native, and other underrepresented minority students, and bring more of them into the geoscience profession. However, this hypothesis has not yet been rigorously tested. Empirical and descriptive studies of place attachment and meaning among different student populations, and clearer definition of place-based teaching, are prerequisite to more authentic place-based geoscience courses and programs. Five characteristics of place-based geoscience teaching are identified here and illustrated with suggestions for implementation in diverse educational settings. The goal of this study was to identify student evaluation of teaching (SET) questions that could be biased against large-enrollment geoscience classes. SET questionnaires were collected from twenty geoscience departments; individual questions were examined for potential bias by examining differences in SET responses for classes of differing size and discipline using data from the Department of Geography and Earth Sciences at UNC Charlotte. At UNC Charlotte, lower-level courses receive 6% lower evaluation scores than upper-level courses and overall ratings by students in larger classes were 12% lower than those in classes with fewer than 75 students. Comparisons between instructors teaching different disciplines should be reviewed with discretion. When introductory geography and earth science classes are compared, geography instructors scored 20% higher than earth science instructors (n = 40 sections for geography, n = 38 sections for earth sciences). Student evaluations should also be viewed in the context of the difficulty of the professor. At UNC Charlotte, evaluations are plotted against the mean grade-point average assigned by the professor. These plots are both summative when considered by the Reappointment, Promotion, and Tenure (RPT) committee, and formative when used by the instructor to sense how difficult and/or effective he or she is relative to other instructors. As co-instructors of an undergraduate course in Archaeological Geology, we have developed an in-class research project using the Scanning Electron Microscope (SEM) to analyze and interpret physical traces of stages in the history of a unique lithic artifact. This exercise requires preliminary instruction on percussion and pressure flaking, geological materials suited for chipped stone tool manufacture, contextual archaeological analysis, theory of electron microscope use, and post-depositional surface processes, particularly those creating natural wear due to wind or water abrasion. With this background, students acquired four images of surface and edge locations of the study artifact using the SEM. We asked students to write a description of the analytical technique, a compilation of their observations and analytical data, and an interpretation of the artifact's history. Although most students recognized that the artifact recorded multiple stages of manufacture and use, additional comparative images of water- or wind-worn, chipped or ground cherts would give students greater ability to distinguish cultural modifications from those created by post-depositional geologic processes. Students expressed enthusiasm about the project and indicated a high level of engagement on evaluations (mean score=4.3-4.4, median score=4.5-5.0 on a scale of 1 [low] to 5 [high]). The theme of European ice age cave art is one that is well suited for art-and-science and art-and-geology courses, offering a wealth of topics that illustrate the interdisciplinary connections between art and the earth sciences. Among these are the origins of caves, the nature of ice ages, the authentification and dating of cave paintings, the scientific method and the nature of scientific hypotheses, the elements and principles of art and their presence (or absence) in cave art, and human evolution and the origins of creativity. In this article, we examine these and several other such topics as they relate to the theme of Paleolithic cave art. We also propose student and class activities that might be developed for an art and geology course, including some that we have utilized in our own course. Our aim is to provide an overview of key concepts and resources such that interested geoscience and/or art faculty will have sufficient information to adapt or develop a module or activity appropriate for their own courses. Geoscience learning requires mastery of various spatially demanding tasks, and the learning-science literature offers research findings that illuminate the mental processes underlying such geospatial tasks. Research on spatial abilities shows that there are large individual differences in performance on spatial tasks, that spatial skills can improve with appropriate training but that the improvement may not transfer to related tasks, and that the form of effective training may vary with the student's spatial ability. Research on use of maps in real-world settings shows that the map-reading task involves three constituent understandings: representational correspondence, configurational correspondence and directional correspondence between a map and the real world. Research on topographic-map use has uncovered consistent, teachable strategies used by successful map users. These include grouping features into configurations rather than focusing on individual features separately, and evaluating multiple hypotheses about one's viewpoint. Research on how people comprehend 2-D representations of 3-D structures aids in diagnosing the nature of students' errors on such tasks. Students making non-penetrative errors, in which they only use information visible on the exterior of the 3-D volume, may need different interventions than students who make penetrative errors, in which they try to envision theunseen portions of the 3-D volume. 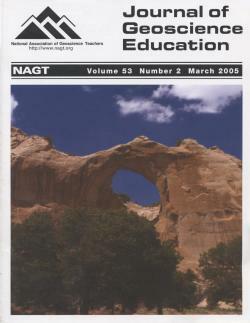 Several different approaches to formal science education have been advocated by professionals in science education in the United States. Their efforts, ideas, and research have influenced the directions of global science education. The purpose of this study was to explore international geoscience education professionals' priorities for science education for the new millennium. A survey was conducted to determine the perceptions of seven literature-based approaches to science education among 51 professionals (15 different countries) who participated in the third International Geoscience Education Conference. Results indicated that the 'Integration' approach was the top choice, followed by a choice emphasizing 'Conceptual Change.' Years of teaching were not significantly related to participants' perceived importance of each approach, but national origin was related. Among the three major participant countries, Australia, U.S.A., and Japan, Japanese participants rated two approaches (Education Technology and Internet Based Teaching & Learning) as less important than did Australian and U.S. participants. For the other five approaches respondents' opinions were not significantly different at a = .05. Geosciences are an integral part of the middle school National Science Education Standards (NSES), and there is increasing interest in activities that combine geoscience content with inquiry skills. Refining and improving these activities is important, and can be based on approaches that are integrated into the activities themselves as a means to assess student learning. Local environmental problems provide excellent opportunities to create interactive, interdisciplinary lessons that meet science standards and motivate students to learn through their interest in relevant local issues. A well-publicized local environmental issue, E. coli pollution of streams and lakes, was used as the basis for middle school activities designed to enhance student inquiry skills and content knowledge. Several interactive activities were developed and incorporated into local middle school curriculums to increase student understanding of E. coli pollution, and to involve students in using scientific approaches to help solve environmental issues. Analyses of student pretest-posttest results for open-ended and guided tasks, as a form of assessment, provided valuable insight into student learning. Greatest student improvement (> 35%) occurred in understanding the watershed concept and in open-ended interpretation of graphical representations of E. coli data. These assessments were used to guide modifications of the materials to maximize their effectiveness and address common misconceptions. In a recent survey, alumni of a Bachelor of Science program in geology expressed strong support for a required summer Field Geology course and for related field and laboratory learning experiences in the undergraduate geology curriculum. On a 4-point scale (4=essential; 1=unimportant and unnecessary), geology alumni rated "summer Field Geology course" 3.77, higher than any of the ancillary requirements (mathematics, chemistry, physics, biology, computer skills) or independent study. When asked about possible options for cutting the costs of the B.S. program in geology, only 1.8% of the alumni favored reducing the ratio of laboratory experiences to lecture contact hours and only 2.3% favored reducing the number of field trips and other out-of-classroom experiences.